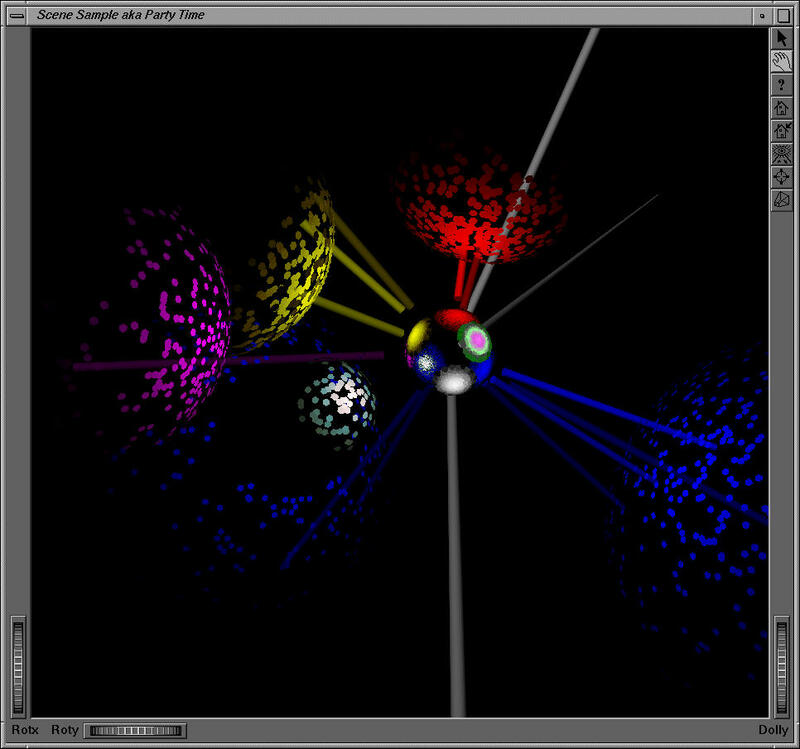 This program reads in a scene consisting of spheres with custom emittance distribution functions. From a center sphere it then begins sampling the world, drawing a sample on the sphere of the same color as it sees in that direction. It does this in an interactive fashion and looks quite cool. There appears to be a slight bug in the placement of the cylinders. I created this lightfield from an array of photographs of a real life Cornell-like box. It didn't come out too well. These are screenshots of lightfield using one of their lightfields.